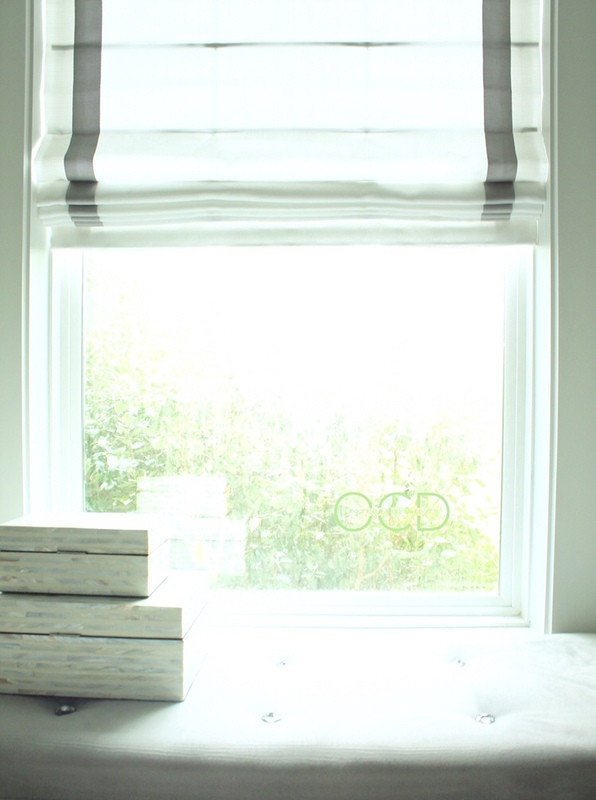 When we first moved into our home, I was short on time and money, so I literally bought some white fabric and draped it over a curtain rod on our closet window. Two years later, it was time to figure out a better solution. That solution turned out to be this beautiful Roman shade from Blindsgalore. Raising and lowering a window covering with just the pull of a string?! Whaaaat?! I’d been dealing with my sad attempt at a window treatment for so long, my mind was blown with the functionality AND beautiful style of an actual custom window treatment. When I initially contacting them, they INSISTED that I pick multiple fabric samples to be shipped to me for FREE so that I could see what each color and fabric would look like in the space. They even included a couple of samples I hadn’t thought to ask for and I’m so glad they did! When I called in to place my order after making my fabric selection, they were super friendly and nice. Good customer service goes a long way in my book! They helped me make all the selections and brought up points I hadn’t even thought of. I loved the suggested design elements as well. A few weeks later, my fully custom shade arrived and with just two screws and five minutes, installation was done! It looks sooo good and has really elevated the closet. The workmanship and quality are awesome. Overall, working with Blindsgalore has been great and I highly recommend them. *I was not paid to review their product. I was given a window treatment in exchange for my honest opinion.